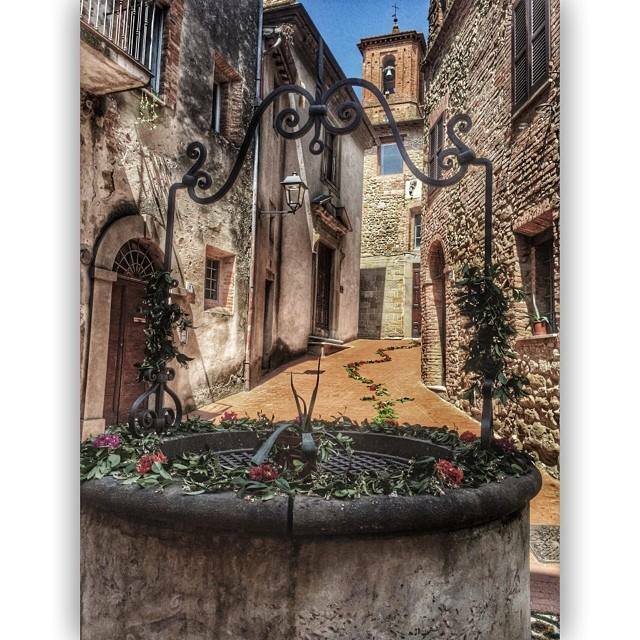 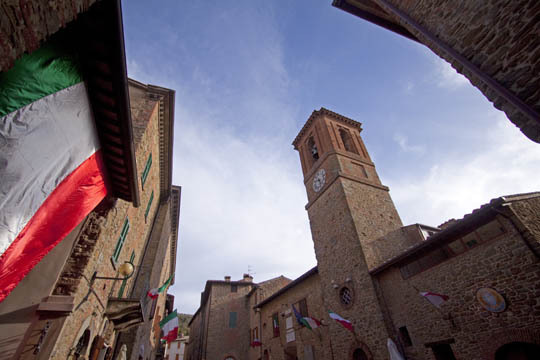 Paciano is a charming village founded around the XIV century , on a spur of Mount Petrarvella . 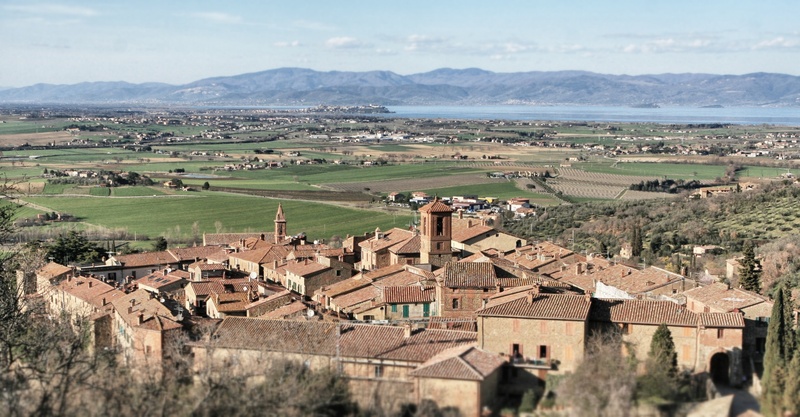 Paciano’s fan shaped plan took shape in the 1200s, with three parallel streets interconnected by smaller perpendicular streets. 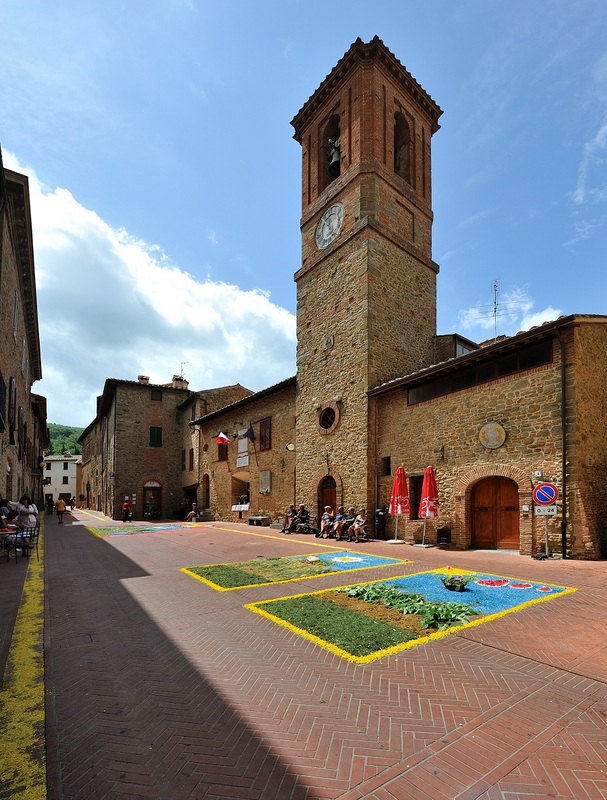 The village is enclosed within its 14th century walls, about 600 meters long, which include eight towers and three gates, Porta Fiorentina, Porta Perugina and Porta Rastrella. 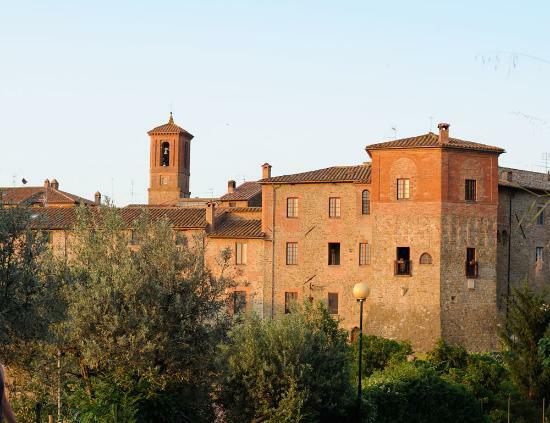 Throughout the Middle Ages the village was an important castle guarding the Perugian domain over the Chigi territory.